I can still remember Vince Lloyd’s call from when I was a child, “It’s a ground ball to Kessinger, he shovels it to Beckert who flips it to Pepitone for a six-to-four-to-three double play.” That seems like forever ago and yesterday at the same time. I am having deja vu all over again this spring. 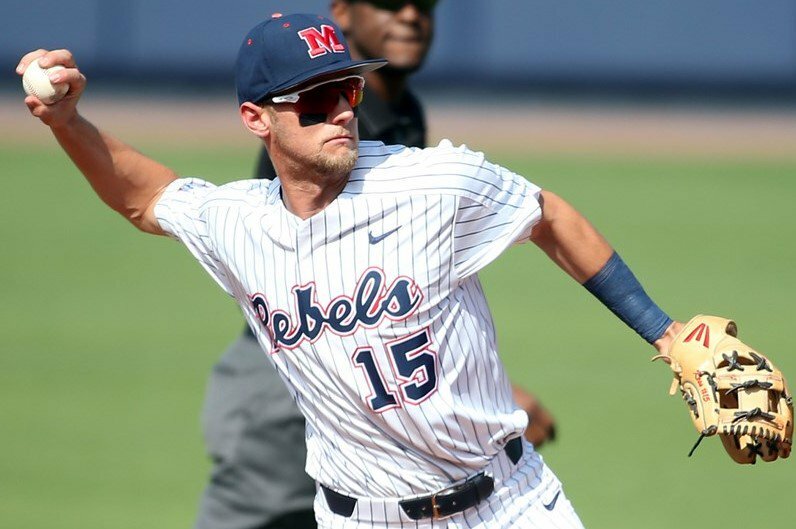 The reason for that is every week I keep checking the statistics for one Grae Kessinger, a shortstop for the University of Mississippi. I am not going to compare him to his grandfather as Grae is most definitely his own kind of player. Grae was born in 1998 and raised in Oxford, Mississippi. In 2016, the Padres took Grae in the 26th round but he chose to attend the University of MIssissippi instead. He saw plenty of action as freshman starting 53 games. He only hit .175 but his high walk rate bumped his OBP to .287. As a sophomore, Grae hit 8 HRs while hitting .300 and putting up a .389 OBP. He also made the NCAA Regional All-Tournament team. His slugging percentage was pretty good at .473 for an .862 OPS. He had 26 XBH, mostly doubles. Grae, however, only played in one game in a wooden bat league as he went 0-3 in the Cape Cod League. The Cubs usually like for their prospects to have experience in the Cape or Northwoods League. 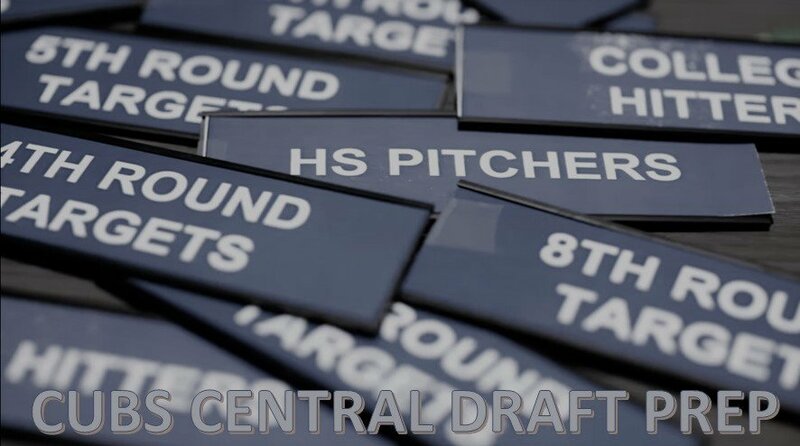 Then again, heading into this year, Grae was seen as a possible guy who might be able to sneak into day one of the draft of the draft (rounds 1+2). A poor start to 2019 put the brakes on that. However, his bat has started to come alive the past couple weekends. HIs average is up to .262 after bottoming out at .217 early in the month. It’s only 20 games into the season and there are still about 35 games left. He has plenty of games (six weeks) to get things in order for the draft. Considering the Cubs SS depth, the Cubs might not prioritize the position for years to come with Hoerner, Short, and Ademan in the pipeline. Still, Kessinger does have value. He has great size at 6’2” and 200 lbs. He could add or subtract depending on if he sticks at shortstop. He could possibly play 3B, 2B, or the outfield with his natural defensive abilities. Like any other prospects, if Kessinger can hit, any team will find a place for him to play. Let’s take a look at his swing. What comes across as impressive in the video is that he showed great fundamentals when it came to fielding and throwing. From a high handset, his swing was quick and to the point, but it did not look like it could generate much power from his pretty good frame. In the second video, the hands have noticeably dropped to below his armpits to begin the swing, but eventually they creep up a bit to start the swing. It’s a small thing, but it does take away a bit of power and quickness to the ball. He also swings a bit flat footed as he does not stride. It’s all hips and hands. Those small things can easily be fixed. If not, he would be extremely susceptible to any pitch that does not start with a F.
He’s not perfect but there are some great foundational skills in place. I love his actions in the field. He looks very smooth and free out there. He’s not going to need a lot of work on defense. The bat can be fixed in due time. Actually, the Cubs coaching staff in Mesa has done some wondrous things in a few weeks of tweaking. If the Cubs took Kessinger, he would go in the middle of day two unless he stays hot in April and May for Mississippi.